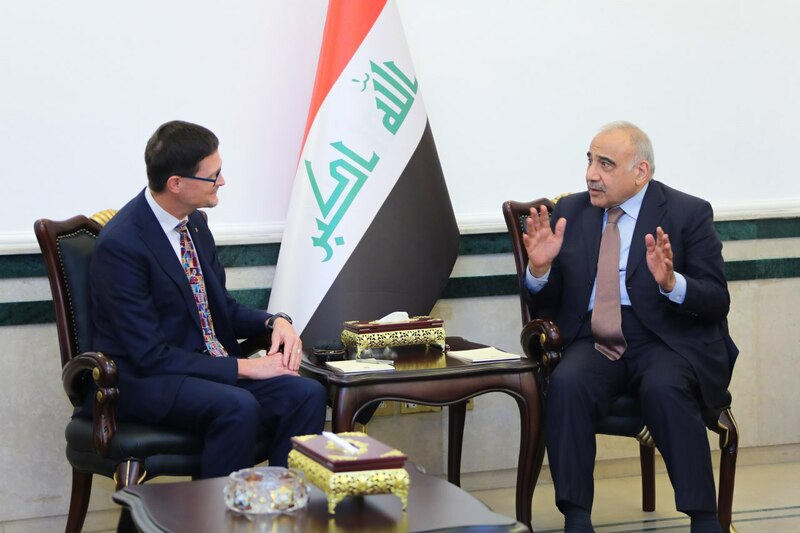 His Excellency Prime Minister Adil Abd Al-Mahdi met with a number of ambassadors working in Baghdad this day each individually. 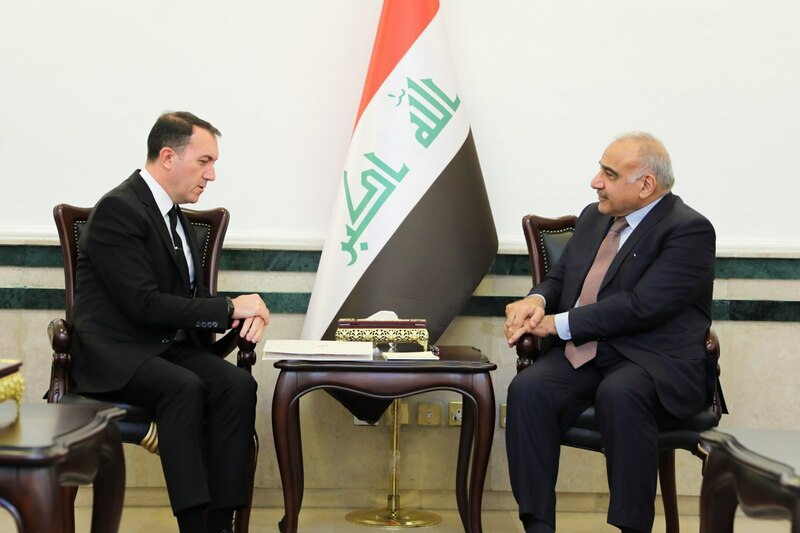 The meetings which dealt with developing bilateral relations and discussing issues of mutual concern, His Excellency reviewed the positive developments in Iraq, the Iraqi government's directions towards the reconstruction of the country all the provinces affected by terrorism and its growth opportunities effected. While seeking to build a system of joint relations with all brotherly and friendly countries to increase cooperation, exchange of interests, strengthen security, stability and opportunities for economic prosperity. His Excellency Prime Minister received in his official office this day, the Ambassador of The People's Democratic Republic of Algeria Abdelkader Ben Shoa, The Ambassador of the People's Republic of China Mr. Sheng Weicheng, The Canadian Ambassador Robert Paul Gebert, The Ambassador of the Republic of Turkey Mr. Faleh Yildiz, and The Ambassador of the Islamic Republic of Mauritania Sidi Ould Cheikh Ould Ahmed Aich. His Excellency also received the Ambassador of the Kingdom of Saudi Arabia in Baghdad, Abdulaziz bin Khalid Al-Shammari, who conveyed an official invitation from the Custodian of the Two Holy Mosques to His Excellency Prime Minister to visit the Kingdom, which he promised to meet in a timely manner.